With fun fabrics and blackout linings, curtains are the ideal solution for children’s spaces. Find a design you’ll both love in our collection. 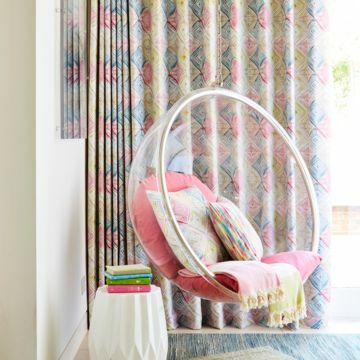 Choosing curtains for your child’s room is fun with our fantastic selection of fabrics. We’ve designs to suit even the hardest to please. And with our made-to-measure service, they can be made to fit even the hardest to dress windows and doors too, including bay windows. Whether it’s ship ahoy with a pirate pattern or a pretty bunting design that fits the bill we’ve fabrics to suit every scheme. For a truly luxurious feel and an extra dark environment, layer curtains with other products. Children can be notoriously difficult to please. But when you book an in-home appointment with Hillarys, you know you’re getting everything taken care of. 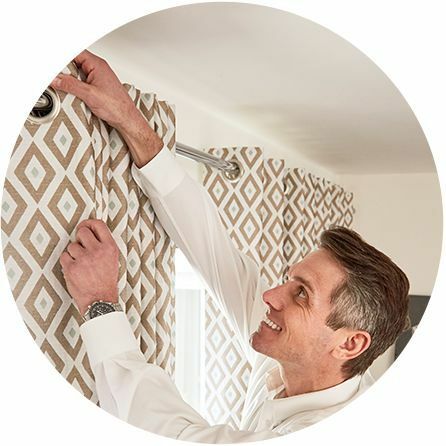 Your local advisor will offer you loads of practical and design advice to help you pick the perfect kids curtains for your little one’s room. You’ll be able to browse our full range of children’s fabrics in the comfort of your own home – why not get your child involved in the process too? They’ll talk you through everything from blackout linings to fabric patterns so nothing is left to chance. Then they’ll measure up your windows and give you a quote for you to consider. Made-to-measure is important and with our bespoke service, you’ll know that every fine detail is looked after. Choose a blackout lining to help ensure a good night’s sleep. 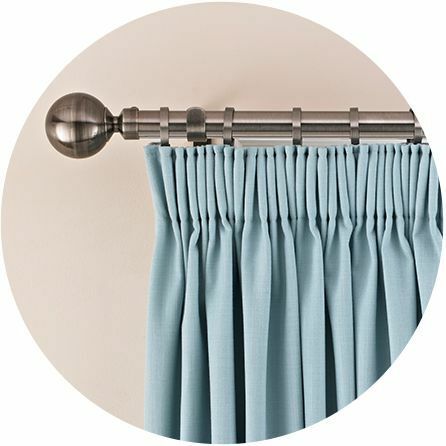 Customise your curtain headings. In fact, choose everything right down to the tie backs. Trust us to take care of everything.